Whether we like it or not, winter is coming fast, and with it comes drafty air, the risk of frozen pipes, and sky-high energy bills. There are a few things you can do around the house to ensure that your home is prepped and ready for the bitter cold—not only to make sure that you and your family are warm and toasty but also to keep your energy bills manageable throughout the winter months. 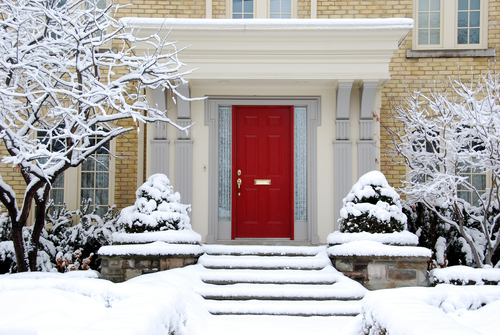 Here are a few handy tips that you can use to get your home ready for the snowy months. · Switch Out Furnace Filters —Using your furnace at peak capacity every day in the winter can seriously take a toll on your bank account. Choosing the right furnace filter—and swapping it out once a year before the cold air hits—is essential to keeping your unit efficient and preventing emergency repairs. It’ll also help improve your indoor air quality and reduce the amount of dust and dirt you breathe. · Prepare Pipes — If you’ve ever dealt with frozen pipes, you know how frustrating and expensive repair can be. When temps dip too low, pipes are at risk of freezing and bursting, potentially causing flooding and water damage to your home. To ensure that your pipes remain in great shape year-round, prep them in the winter by disconnecting and draining all garden hoses, wrapping indoor pipes in thermal tape, or adding extra insulation to walls that have frozen in the past. · Ditch the Drafts — One of the simplest ways you can make sure that your furnace doesn’t work overtime—and that your winter heating bills aren’t through the roof—is to make sure that any and all draft areas of your home are properly patched. You can do this with affordable draft door stoppers or go big when you invest in extra insulation. Adding insulation to the attic and other drafty areas of your home can help keep every floor warm. Caulking around windows and doors is a smart way to affordably address any gaps between your home’s siding and window or door frames. · Prepare the Fireplace — One of the silver linings of a harsh winter is that you get to sit inside by the fire. Fall is the time to have your chimney sweep visit, not only for a complete cleaning but also to inspect the unit to make sure that everything’s running smoothly. Oh, yeah, and a good chimney professional will also be able to identify—you guessed it! —drafts. This way, you can see whether or not precious warm air is escaping through the flue. You’ll also want to have a professional inspect your fireplace annually to ensure that there are no blockages that could cause a fire or excess smoke. · Go Thermal — Who says you can’t fuse fashion and function when prepping for winter? 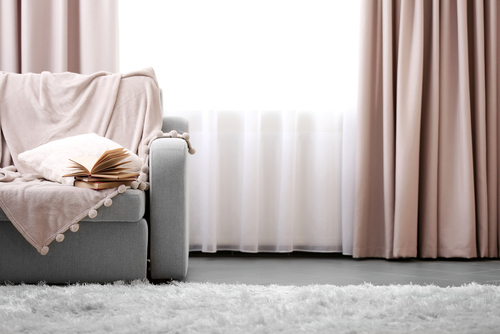 With energy-efficient insulated curtains, you can give your home a stylish upgrade while also improving its ability to shield out cold air. A set of stylish, thermal curtains will help minimize drafts so that your furnace doesn’t have to work as hard while keeping your space cooler when temperatures are high. · Install a Humidifier — If you’re like most people, you probably experience extra dryness and congestion in the winter due to the cold, dry air. 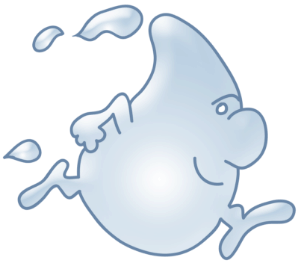 Installing a good-quality home humidifier is a great way to help ease sinus congestion when the weather’s to blame. They also effectively lubricate the joints of your home and can help quiet cracking and creaking sounds in old houses. · Reverse the Fans — Okay, so you’ve heard of reversing your mattress—but did you know that reversing your ceiling fan’s direction can also help keep you warm and reduce energy bills at the same time? The logic is that when you change the direction of your fan, it will produce an updraft and push heated air downward. Hot air rises, after all! Most modern fans have a reverse switch on the remote or somewhere on the unit itself. · Check the Roof — Fall is the prime time to clean the gutters to ensure that winter water flows properly and doesn’t freeze, causing icicles and damage to the trim and siding of your home. 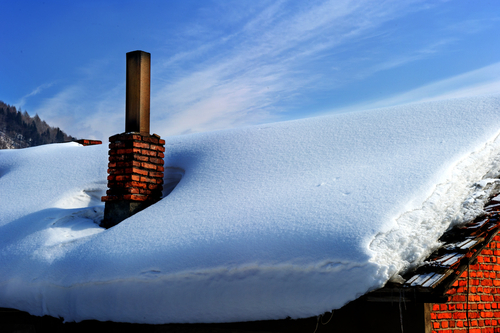 But, while you’re up on the ladder, do a good scan of your roof to check for damaged, loose, or missing shingles that could cause your roof to leak when piled snow begins to melt. We recommend hiring a roof inspector or using a good pair of binoculars to safely inspect roofing.